The Children's Art Centre presents an exciting interactive exhibition developed in collaboration with Kaiadilt artists Elsie, Amanda and Dorothy Gabori, daughters of one of Australia's most loved contemporary artists Sally Gabori (Mirdidingkingathi Juwarnda). 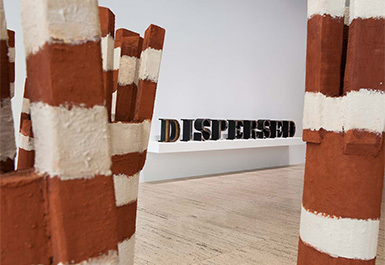 'The Gabori Sisters: Gathering by the Sea' was developed to coincide with 'Dulka Warngiid – Land of All', the major retrospective of their mother's work recently on display at the Queensland Art Gallery (21 May – 28 August, 2016). This vibrant exhibition takes children on a journey to the artists' homeland of Bentinck Island in Queensland's Gulf of Carpentaria. 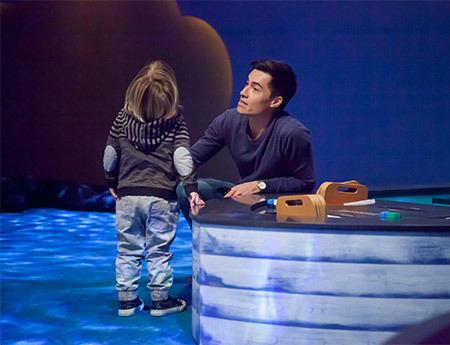 Through specially designed interactive hands-on making and multimedia activities, young visitors will be introduced to the unique and important relationship the Kaiadilt people share with the sea and the creatures who inhabit the waters around the Island. NGAAKA NGUMBANDA WURAND? – WHAT'S YOUR TOTEM? Totems are an important part of the Kaiadilt culture. The sisters want to share these with young visitors by inviting them to answer a series of questions to determine their own animal totem. Children are able to create a patterned wristband by making a rubbing of their totem to wear while visiting the exhibition. 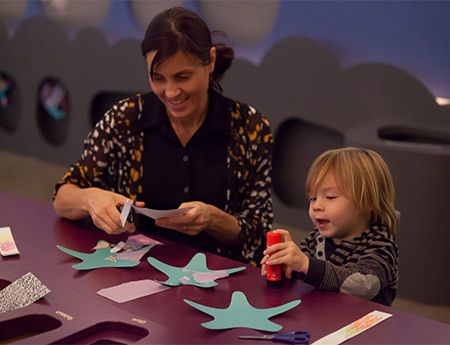 In this activity children can learn more about the connection that the Gabori sisters share with the sea. 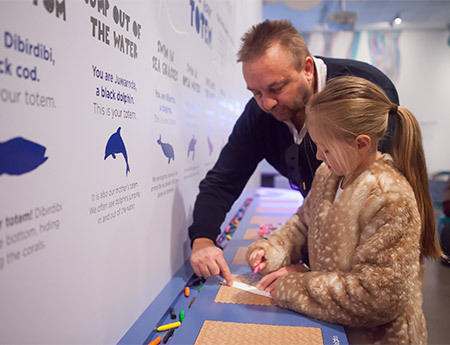 Young visitors can reflect upon what the ocean means to them and draw a picture on a specially designed template. Bentinck Island is surrounded by rock wall fish traps which the Kaiadilt people rely upon as a primary source of food. In this activity children are able to collage a template and add their creation to a 'rock wall' display. In the first half of the exhibition, children will build up the ecology of the rock wall with shells, coral and starfish. 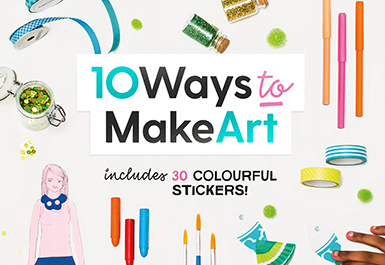 From 10 October the templates will be changed to include seahorse, turtle and octopus. In this site specific soft sculptural installation visitors will be immersed in an under the sea environment. 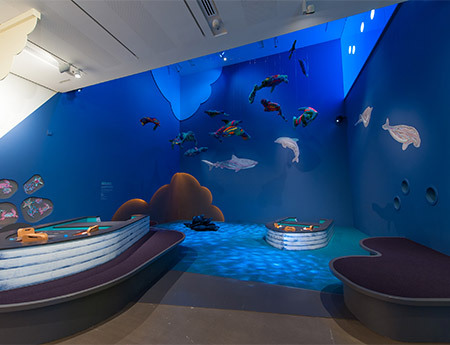 The space features a spectacular array of felt sea creatures that have been specially created by the artists for this exhibition. The waters of Bentinck Island are brought to life in this dynamic interactive animation. 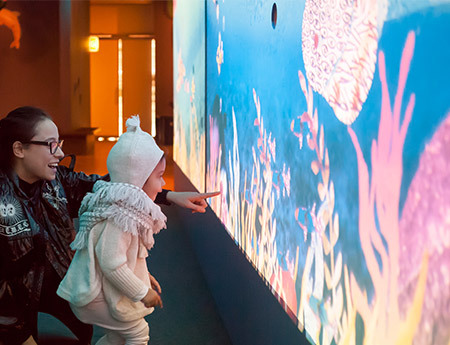 As young visitors walk through the space they can see themselves underwater and engage with various sea creatures that swim by. The animation features collaged paper creations made by local school students. The Gabori sisters have fond memories of building humpies as children. 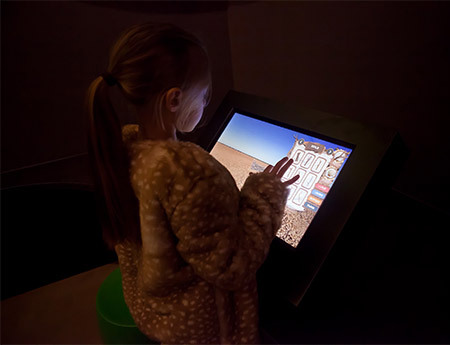 In this interactive tap game children will be able to create a shelter like those made by the artists and their family. 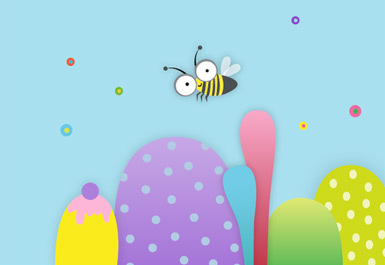 Children can choose one of five locations on the Island to build their humpy and select materials to construct and decorate it.